St. Martin’s Church, Fivehead and St. Catherine’s Church, Swell. The two churches are part of The United Benefice of Curry Rivel, Fivehead and Swell under the leadership of the Revd Scott Patterson. 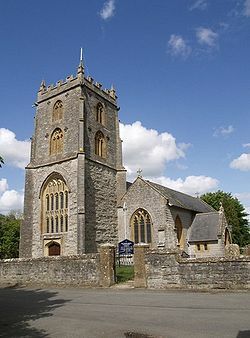 The Benefice is in the Ivelchester Deanery, the Archdeaconry of Wells and the Diocese of Bath and Wells. We welcome Christians of other denominations and none, as well as seekers and visitors. We aim to grow in personal relationship with God, through his son Jesus Christ, and in supportive relationships with each other. We value prayer and Bible study, seek God’s spiritual gifts and his courage in sharing the gospel with others. Both churches are open during the day. You are always welcome to visit and to enjoy quiet prayer and reflection. Visitor guides are available at both Churches. St Martin’s is dedicated to the Roman soldier who gave half his cloak to a starving beggar. St Catherine’s Church, is dedicated to the Saint who was martyred on a wheel. You will find both Saints depicted in canvas paintings on the reveals of the East window in St. Martin’s Church. Both Churches are Grade 1 listed and stand witnesses to the worship of God over the centuries and provide to those who meet within their walls, peace and great strength in the knowledge and love of God. The monthly service pattern of Church services can be viewed here. Some notes on St. Martin’s Church and its Bell Ringers can be viewed here and St. Catherine’s here. A note about Church Records and Parish Registers can be viewed here. Fees for Special Services (Baptisms, Marriages and Funerals) are shown here. Additional information on Parochial fees is available in the Church Porch. St. Martin’s Church Data Protection Policy (2018) can be viewed here. The Annual report and Accounts for St Martin’s Church can be viewed here.